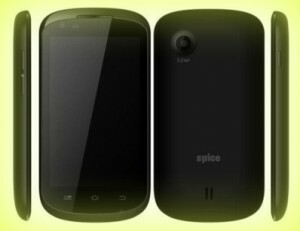 Spice expanded its Android budget phone line-up by adding a new handset dubbed as Stellar 405. This handset is now available online with a price tag of Rs. 3,299. Highlight of this budget handset is the dual SIM support, 3G connectivity and the 4 inch display. Pune: Spice Stellar 405 handset comes with 4 inch display and the resolution of it is 800 x 480 pixels. It is powered by quad core Snapdragon 200 processor whose clock speed is 1.2 GHz. The processor is coupled with 512 MB RAM and the internal storage provided is 4 GB. Memory can be expanded up to 32 GB via micro SD. The handset comes with dual SIM capabilities. It features 3.2 megapixel primary camera with which beautiful moments can be captured and there is also 1.3 megapixel secondary camera for taking selfies and also for video calling. This budget handset supports 3G, WiFi and Bluetooth connectivity. It comes out of the box with Android 4.4 Kitkat operating system. There is 1500 mAh battery under the hood. Spice Stellar 405 is now available on Saholic for Rs. 3299 which the online retailer claims is 18% off on MRP. It can be purchased on EMI also that starts from Rs. 203 per month. One year manufacturer warranty is offered. It is offered in black color option. Free delivery is offered and cash on delivery is also available. Click here to buy. This entry was posted in Buy Gadgets, Launches, Tech on May 6, 2015 by Rakesh.